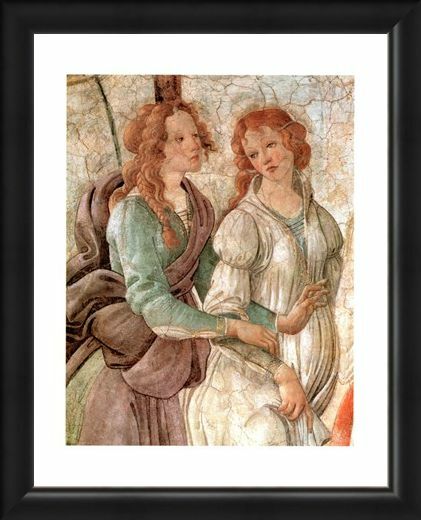 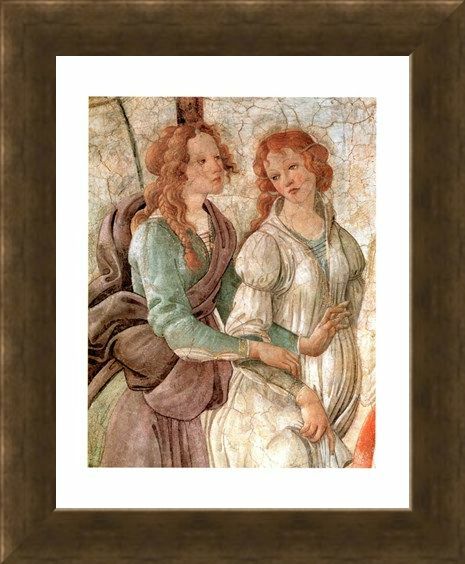 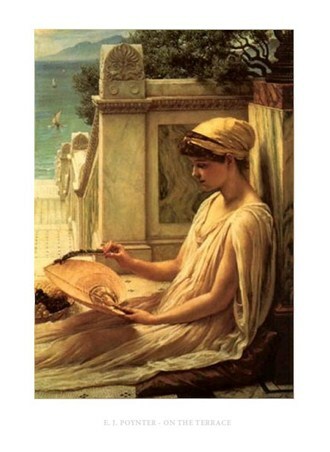 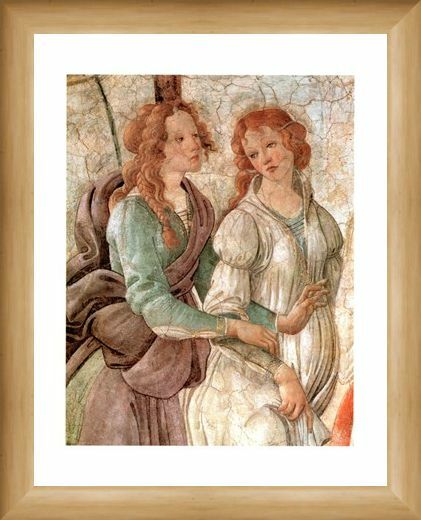 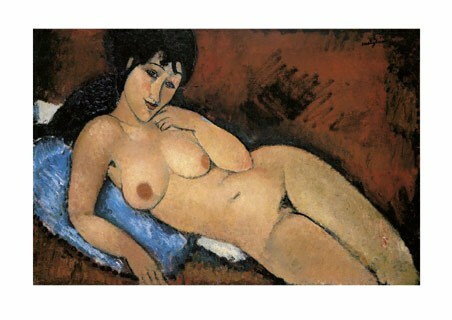 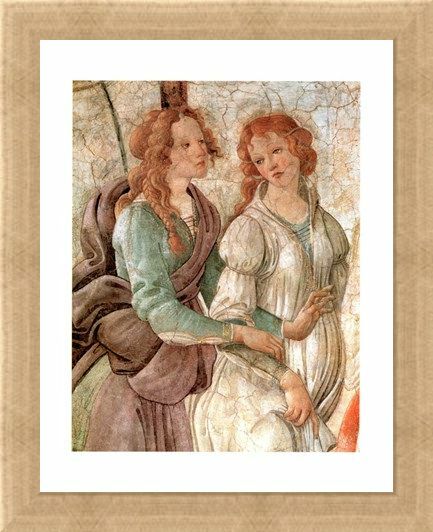 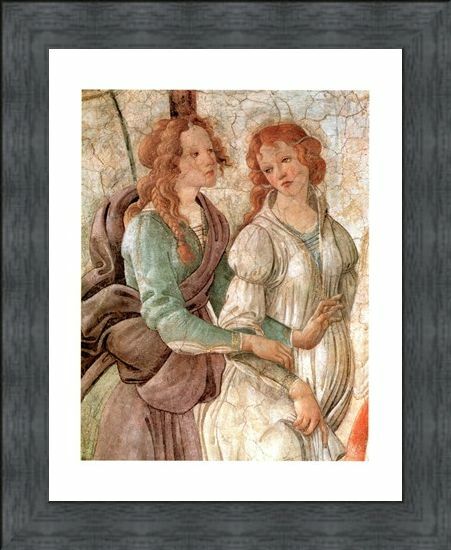 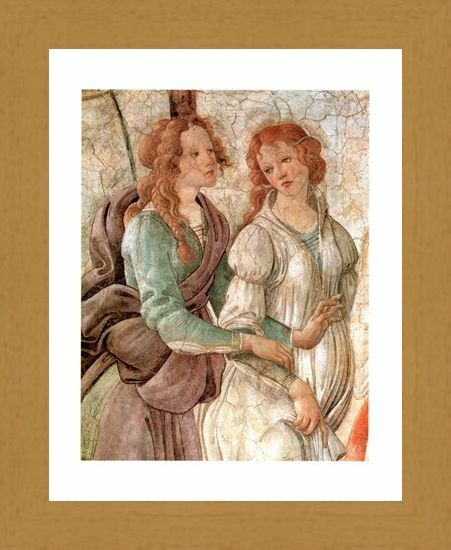 Art Print: This charming mini print features a close up of a well known piece by Italian painter, Sandro Botticelli and it is called Venere Offre Doni (Venus offers gift). This stunning close up version of Botticelli's art work captures every detail of the picture from the cracked oil on the original painting to the sparkling golden trim on the women's clothing. 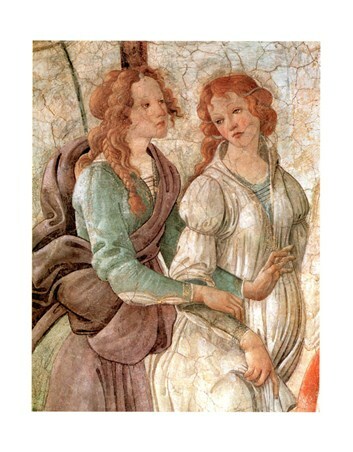 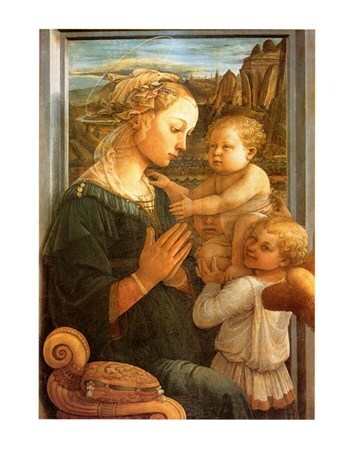 If you are looking for a piece of art work which will complement your home with it's soft colours and renaissance style imagery then the work of Sandro Botticelli is sure to make a great addition to your home. High quality, framed Venere Offre Doni (Particolare), Sandro Botticelli mini print with a bespoke frame by our custom framing service.